DOGGY DAY CARE / PLAY GROUPS / BETCO – DOG BEHAVIOR,/TRAINING, AGILITY & OTHER DOG SPORTS! AKC's Canine Good Citizen® (CGC) Program is a certification program that is designed to reward dogs who have good manners at home and in the community. The Canine Good Citizen® is a program that stresses responsible pet ownership for owners and basic good manners for dogs. All dogs who pass the 10-step CGC test may receive a certificate from the American Kennel Club and can also add it as a title. Owners can now already start with the S.T.A.R.® Puppy program while they're enrolled in their first class(es). STAR stands for Socialization, Training, Activity and Responsibility. STAR includes most of the CGC test items in a milder form plus additional tasks and is recommended, but not needed to later take the CGC-test. Many dog owners choose Canine Good Citizen® training as the first step in training their dogs. The Canine Good Citizen® Program lays the foundation for other AKC activities such as obedience, agility, tracking, and performance events. As you work with your dog to teach the CGC skills, you'll discover the many benefits and joys of training your dog. Training will enhance the bond between you and your dog. 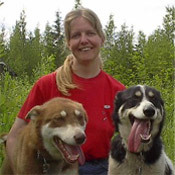 Dogs who have a solid obedience education are a joy to live respond well to household routines, have good manners in the presence of people and other dogs, and they fully enjoy the company of the owner who took the time to provide training, intellectual stimulation, and a high quality life. We sincerely hope that CGC will be only a beginning for you and your dog and that after passing the CGC test, you'll continue training in obedience, agility, or performance events. The Canine Good Citizen® Test is testing your dog in 10 everyday situations, proofing the dog's obedience, non-aggressiveness and non-fearfulness. It's an excellent way to show your community that you are a responsible dog owner. The test is held here annually in conjunction with our RDO Day in September but not always on the same day. We also sometimes schedule a 2nd CGC test after one of our CGC®-Prep School classes earlier in the year. Please check our online calendar or call the office for details. You can find current information about cost on our Pricing page. The test is scheduled once or twice a year at The Better Companion. The Canine Good Citizen® Test is testing your dog in 10 everyday situations, proofing the dog's obedience, non-aggressiveness and non-fearfulness. It's an excellent way to show your community that you are a responsible dog owner. Check our class schedule and sign up now!